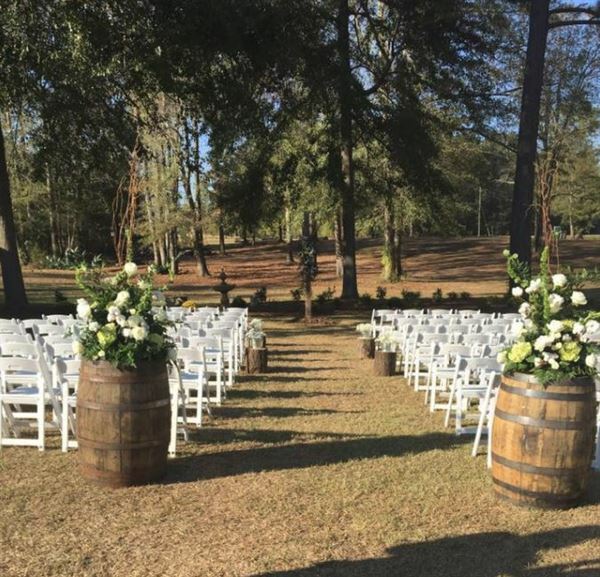 If you are looking for a unique location in West Alabama for your wedding or special event, look no further than the Robertson's Barn located in Fosters, Alabama. Just a few miles from Tuscaloosa, the Robertson's Barn is a new facility that has hosted some of the most unique weddings in town. The Barn offers outdoor and indoor locations for wedding ceremonies and room for one-of-a-kind receptions! NorthRiver Yacht Club is a gorgeous event venue on Lake Tuscaloosa. NorthRiver can host rehearsals, rehearsal dinners, ceremonies, receptions, business retreats, work holiday parties & a lot more. We have many venue options from a grand ballroom to a rustic outdoor cabin. It is NorthRiver's goal to ensure your special day is perfect from start to finish. Contact our event team today! The Key Place was organized in 2015 by Raymond and Marsha Key. Our aim is to provide an affordable venue for small events. We can provide accommodations for bridal and baby showers, bridal luncheons and rehearsal dinners, birthday parties, anniversary celebrations, weddings and many other gatherings. This facility is also used for free community get togethers such as Bible studies, marriage seminars, soup nights and coffee and dessert gatherings hosted by Raymond & Marsha Key.